Today’s choice is a traditional French feminine choice. And yet it’s barely heard in 2015. 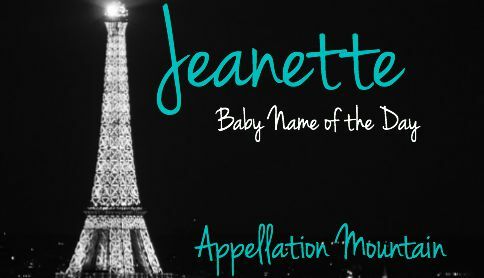 Thanks to Silent One for suggesting Jeanette as our Baby Name of the Day. Former every-boy John may no longer be the #1 name in the US, but his influence is considerable. Jack, Jackson – choose your spelling, Ian, and Juan are all Top 100 picks. Feminine forms of John abound, too, from Joanna to Jane. Jean is the French masculine form of John. And Jeanne, the feminine. Think of Jeanne d’Arc – Joan of Arc. 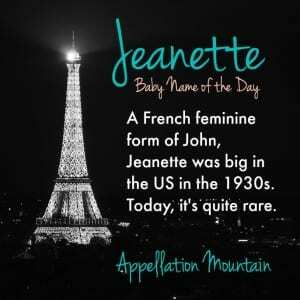 Add an -ette, and you’ll have a diminutive – Jeannette. 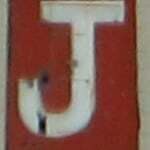 In English, we typically drop one ‘n’ to arrive at Jeanette. There have been women named Jeanette in the US since the Social Security Administration started collecting data in 1880. It 1900, the name ranked #206. 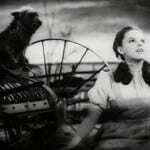 Between 1936 and 1941, Jeanette was a Top 100 choice, peaking at #82 in 1939. What explains the name’s success? Philadelphia native Jeanette MacDonald started her Broadway career in the 1920s, then made the move to Hollywood just as talking pictures were catching on. In 1929, she appeared opposite Maurice Chevalier in the wildly successful The Love Parade. A string of popular movies followed. 1938’s Sweethearts was one of the first Technicolor films. In addition to Chevalier, she was often paired with Nelson Eddy. MacDonald’s career ties closely with the rise of Jeanette’s popularity as a given name. And MacDonald stayed in the spotlight, remaining a popular singer and radio personality even after movie career slowed down. She even transitioned to opera in the 1940s. In the nineteenth century, Swedish opera singer Jeanette Wässelius was an international star. Jeannette Rankin, the first woman elected to Congress. Rankin first won office in 1916, representing the state of Montana. On another musical note, Jeannette Lee was part of the early punk movement in London, a member of Public Image Ltd., and later a successful music label executive. It’s also the name of Spanish-language singer Jeanette, whose career started in the late 1960s and continues through today. If you know your singing chipmunks, this is also the name of one of the Chipettes, of Alvin and the Chipmunks fame. While we tend to think of -ette as French, that’s not always the case. Jeanette has had a good run in Scandinavia, and is also heard in Dutch. There are lots of reasons to imagine Jeanette might be powerfully popular in 2015. We love French names like Genevieve and Vivienne. And -et/-ette endings are stylish, too. 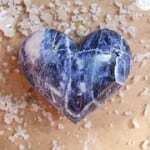 Think of Scarlett, Violet, and Juliette. But Jeanette? Not so much. While variant spellings abound, all forms of the name have faded. Jeanette left the US Top 1000 after 2002, and continues to fall. Just 102 girls were given the name in 2014. A handful of younger bearers of the name have done little to revive it. Popular Nickelodeon actress Jennette McCurdy hasn’t boosted the name’s use. It could be that the mega-popularity of Jennifer makes all similar-sounding names feel dated. Except Jennifer hasn’t hurt Juniper or Genevieve. Instead, it may simply be that 1930s names haven’t had enough time to hibernate. Jeanette remained a Top 250 choice in the US through 1981. 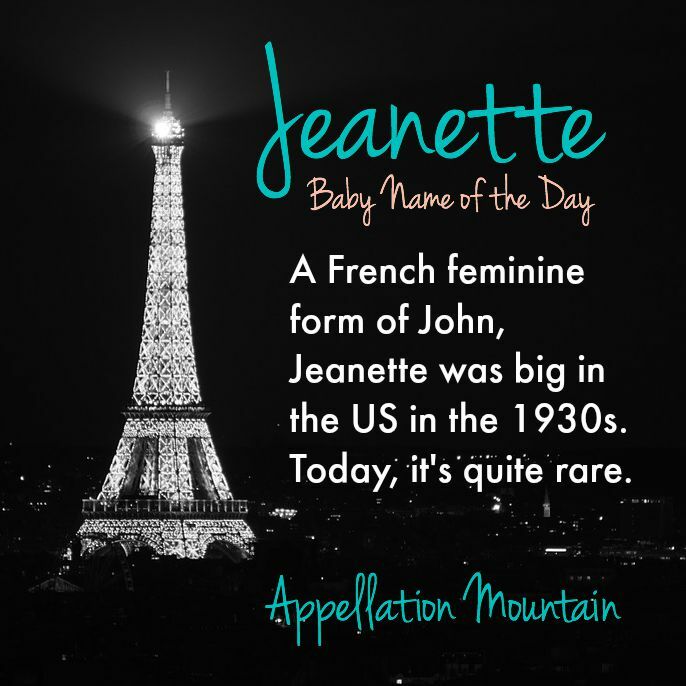 That means that Jeanette is just as much a mom-name as a grandma-name today. And yet, given Jeanette’s international appeal and ties to the evergreen John, it’s a safe bet that this name will make a comeback – eventually. What do you think of Jeanette? Is this name impossibly dated? Or ready for revival? my boss is named Jeannette! I never knew that was the original French spelling–I thought she was the one using an alternate spelling 🙂 the -enes and -ettes will come back but I think it will be a couple more decades before Nadine and Jeannette are commonly heard again. This is my mom’s name! I’ve never met another of any age so it doesn’t seem dated to me. I’ve always thought it was unique and strong while being very feminine. My friend’s young son wants to name his new baby sister Jeanette. I was just saying to his mom that kid’s taste can be a predictor of trends down the road (a handful of my dolls included Sylvia, Olivia, and Lydia!) so maybe Jeanette’s one to watch. There’s a big stylistic difference between the natural “ettes” (Scarlett, Violet) and the fifties style of “add an ette” of Jeannette, Annette, Bernadette, Ronette, etc. The latter still sounds dated to us. ( More’s the pity for this Bernadette lover!) I think a more stylish choice would be the other John derivatives, like Jane, Joan, Joanna, and Johanna. Excellent point – and I love the distinction between natural “ettes” and “add an ettes” – I do think Pink Ladies and Mouseketeers when I hear those add an -ettes. I wonder if we’ll see Jeanette pick up in a few years. It’s quite a nice name, really. I’ve never even heard it considered by anyone yet.